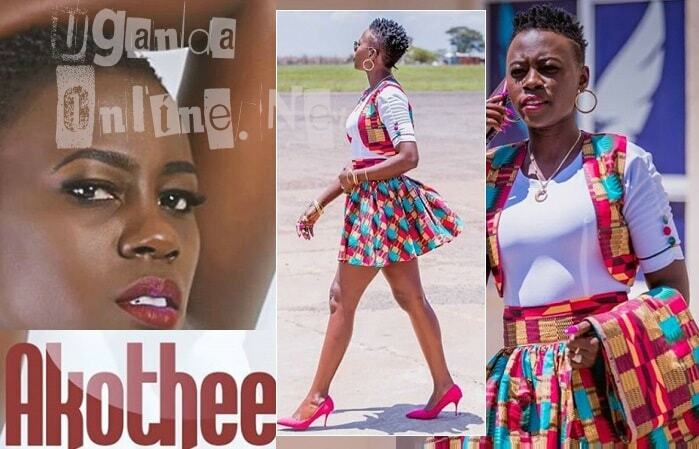 Rides have become the main issue driving socialites crazy in the last few days. 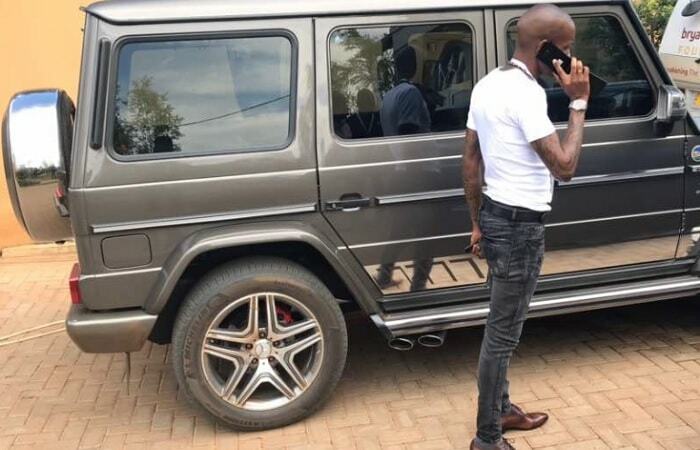 Days after socialite SK Mbuga shipped in his Mercedes Brabus V8 in the country as he completes his last days of detention from Dubai, Bryan White has added the same ride to his fleet, It's a Mercedes G Wagon and he says it is worth USD 300,000. This is coming, days after he bought himself a Range Rover Vogue and also gifted Michael Mugwanya aka DJ Michael of the Muko Muko fame a silver ML 320. 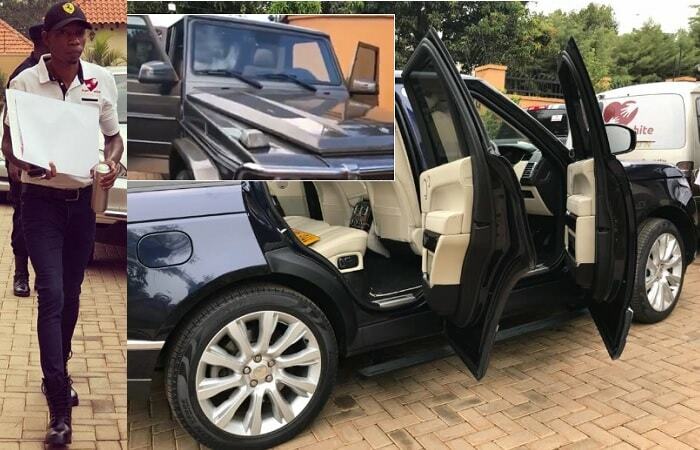 Interestingly, music promoter Charles Olim aka, Sipapa, is still trying to make his mark felt on the social scene, he also bought a similar Range Rover just like Bryan White's not forgetting that recently, when Bryan White was in Nabugabo Sand Beach in Masaka talking to locals there, two posh rides arrived at the venue while Bryan White was making his poverty alleviation speech on the podium, Sipapa emerged out of the car and started dishing out 50k notes. A disappointed Bryan White told the locals how he was not impressed with their behavior of ignoring him and turning the attention to someone who was throwing money at them. One of the officials told him that they want actions not promises. Still talking rides, Kalungi of Kalungi Plaza owns a 2016 Lexus LX 570 with 'BILGATES' registration plates the same ride that Jack Pemba recently bought and customized with 'SIR PEMBA' reg plates, he did not have any kind words for Pemba. "It is okay to cruise around in these rides, provided you are a landlord, I have arcades in Kampala, so I can actually maintain this ride, I hope 'Pamba' does, He concluded.